A third of the middle class say that Social Security will be the primary source of income in retirement. It is expected that there will be a sharp increase in that number in the coming years. Brian Graff, the CEO and executive director of the American Society of Pension Professionals and Actuaries (ASPPA), says that any move by the congress to reduce the benefits accrued by contributing retirement savings will lead to fewer people saving. In effect, many retirees will be dependent on government for help, increasing federal spending. Many small business owners lament that the past few years have been difficult financially. Yes, the recession hit hard and the recovery is going slowly. However, with the proper planning, any business can thrive no matter what the economic landscape. Unfortunately, many small business owners are so busy putting out daily fires and just trying to stay afloat that they never take the time to plan. That’s a mistake! So if you’re ready to continue to make 2014 your best year yet, here are the key financial planning items to focus on for both the short- and long-term. Planning for the future is something many people are not really keen about. For many people, procrastination is their habit; always saying that they will start saving and planning tomorrow. The most unfortunate part is that the tomorrow comes and passes. Years and even decades pass without realization. The result is that retirement and even emergencies come and people are not prepared for these eventualities. Are you ready to retire? If not, here are the top 10 tips to PREpare you for retirement. Maybe you’re earning millions today; or maybe not. No matter how much you are earning today, it doesn’t matter. What matters is what you have done with your earnings. It’s important to have a basic estate plan in place. This will ensure your family’s security even after your death. Almost every day life brings you things that you need in order for you to enjoy happy and meaningful living. But what if there are some instances that happen and for some reason you lose your ability to think and to make the right decisions for yourself? What will you do? What did Heath Ledger, Marilyn Monroe, Michael Jackson, John Wayne, Jacqueline Kennedy Onassis, Princess Diana, and Anna Nicole Smith all have in common? They all had lousy wills. Because of this, their deaths left not just emotional turmoil for their friends and families, but also financial uncertainty, legal battles, and expensive, long-term, court-ordered supervision of the estates, draining the assets away from the people they wanted to benefit. In other words, their financial legacy was one of frustration and questions. When it comes to planning their financial future, many people follow the same philosophy: “I’ll start saving and planning tomorrow.” Unfortunately, tomorrow comes and goes with the beginnings of a plan still not done. Before they know it, years and even decades have passed, and they’re still not prepared for retirement, for emergencies, or for any number of things that could happen. Savings are very important in retirement planning. This is what you are going to spend during your retirement period. 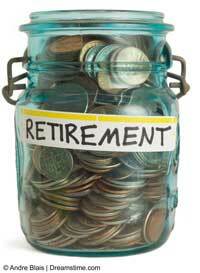 Do you have enough savings to cover you for your retirement? 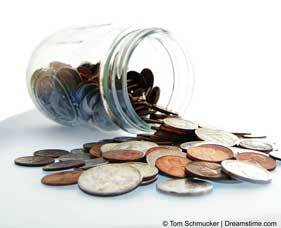 Saving is not easy, especially when you have a lot of expenses to pay, like monthly bills, food and emergencies. These are ways that will help you save enough money for your retirement. Should You Cash Out Your Retirement Fund To Pay Off Debts? No one knows how long he or she will live. Death is a mystery. 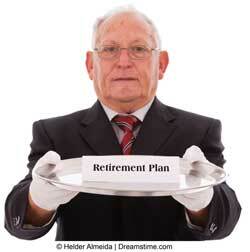 The hardest part of retirement planning is calculating how many years we are going to live after we retire. As human beings, we don’t know how long the thread of our lives will be. It might be tomorrow or it might be more than 100 years. Still, we want to ensure that we will have enough money to last throughout our retirement. What happens if we don’t? At best we become a burden to those we love in every way imaginable. Most people who have a 401K or an IRA have little idea of where their money is invested. When you ask them, “Where’s your retirement money?” they reply, “At the bank” or “With my broker.” No wonder so many people are financially unprepared for retirement. Is There a Right Time For Sales Training? What’s the Worth of a Rep Council?